It opens browser page for streaming. 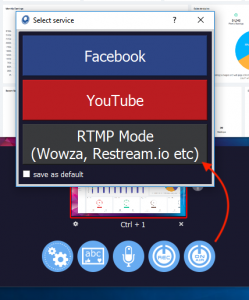 You need fill RTMP Server URL and Stream Key and press “START” button. It’s all.